I promised a 1,000th post giveaway. Well guess what? I have two! You all know how much I love a pretty booth display! The booth display to me is just as important as the product you are selling. while Dave + I were on our overnighter in Sausalito back in May! Ahhh....those sinks. I told Dave I wanted him to make me one immediately. I felt like Veruca Salt with my demand! The girls working the booth introduced me to Mrs. Meyer's Clean Day new scent Rosemary. I demanded that Rosemary scent immediately too...but they were not selling at this booth. Just handing out samples. So I came right home and bought it. I contacted Mrs. Meyer's and guess what they are giving away to you...one of my sweet readers? The Rosemary Kitchen Basics Set! To enter, simply leave a comment with your email address here on this blog post. For extra entries.....blog, tweet or share on Facebook the giveaway! Easy links are at the bottom of this post. For a few more entries....Follow this blog, Like FVL on Facebook, Like Mrs. Meyers on Facebook! Giveaway will close Friday night with winner announced Saturday morning. Mrs. Meyer's will ship your product to you directly. AND....come back tomorrow for Giveaway #2. I 'LIKE' FVL on Facebook!! I 'LIKE' Mrs. Meyers on Facebook!! LOVE MRS. MEYERS!!!! Thanks so much for the chance to win! And... I love Mrs. Meyers products. My dish soap is running low, and I LOVE the counter top cleaner!! Ooo, nice! Thank you, April! I shared this giveaway on my FB page! Yay! I like FVL on FB! I like MM on FB! I love Mrs. Meyer's and cannot wait to smell their new rosemary line. Thanks for sharing! Congrats on the 1000th post! I now like mrs. meyer on fb, can't wait to try it. Congrats on your 1000th! I'd love to try the rosemary line. I love Mrs. Meyers products. So clean and so yummy smelling! Making cleaning pretty? Yes, please! I also liked Mrs. Meyer's on facebook! Oh yay! Great giveaway! Congrats on the posts! Oh, we are getting ready to move and these woudl be GREAT for making the new place as delicious smellign when we move in. Thanks. I love Mrs. Meyers, but I have only tried the Basil scent. I would love to win the Rosemary scent :) Fun Booth,I totally agree. i like mrs. meyers on fb! I became a FB follower for Mrs. Meyers. Love those products. I now like Mrs. Meyers on Facebook! And your blog is linked to mine. Cheers! Count me in ...congrats on your 1000th post! Liked Mrs. Meyers on Facebook ! Oh my, I want this! For sure I am following this blog! Liked/loved FVL on Fb already! Liked/loved Mrs. Meyers on fb! I love Meyers stuff, makes my house so pretty after cleaning. Pick me, pick me. I despised Veruca Salt but I love you!!! Entry please. oh my, that is one gorgeous booth! + I love their products! Would love to win! Thank you for the chance! OOOO I wanna smell this! Fingers crossed I win! I like FVL on Fb!!!! I like Meyers on FB!! ooh would love to try this., I love their products. HOLY MOLY. That booth is AWE.SOME. Like, I'm speechless! Oh, and pick me, kay? Kay. The booth is beautiful. Now I want to order - can't wait to try it out. In the words of Veruca Salt, "I want it NOW!" giveaway #1?? I assume that means there's more, how exciting!!!! Well you already know how much I love your blog, but congratulations on the 1000th post, I am SO far away from that! Congrats! I've never bought these products, but my daughter had this and I loved doing dishes at her house just to smell-while I washed! I would love this! My email is laurascraftylife at gmail dot com. I like Mrs. Meyers on facebook. I like FVL on facebook. I would love to try Mrs Meyers. I have never used their products before. Awesome! 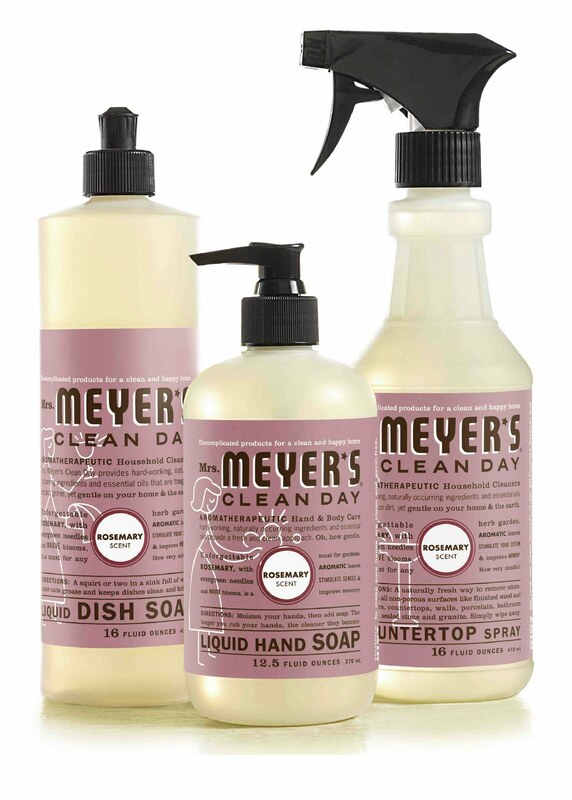 I love Mrs. Meyer's products! I like FVL on Facebook! I like Mrs. Meyer's on Facebook! Love Mrs. Meyers...would love to sniff the rosemary. Of course I follow FVL...love seeing a post pop up in my reader from you! tweeted...thanks for the chance to win! I would love to win these products! Thanks for the chance to win! So excited about this give away. I just LOVE Mrs Meyers! I 'like' FYL on Facebook. I 'like' Mrs. Meyers on Facebook. What a beautiful place to be. I love their set-up. Congrats on the accomplishment, April! Would love to give these products a try. I liked Mrs. Meyers on Facebook. I also like FVL on Fb! Hope to win this giveaway!!!! What a great giveaway! I LOVE mrs. meyers products!! LOVE MRS.Meyers!! Following your blog on facebook, and here of course! Oh and LIKED Mrs. Meyers on facebook! I posted your giveaway post to FB too! Thanks. I LOVE Mrs. Meyers, but have never tried the Rosemary! I love the geranium scent....in every product! I liked Mrs. Meyers on fb! MRS MEYERS has elevated my chores to a stroll in the garden!! Ohhh great giveaway! I love all things Mrs. Meyer! Pick me ;) Congrats on the big 1,000!! And I liked FVL on facebook! found you recently... love your blog! I put this on FB! I already like FVL on FB! Love, love, love Mrs. Meyers! The Basil is my fave but Rosemary sounds yummy too. Mrs. Meyers sounds great. Would love to try it. I love these products! I use the baby room spray when I can find it. I get it about 45 minutes away from me, but it last so long! I would love to try some. That booth display is gorgeous! I can't wait to smell this new scent! I love Mrs. Meyers stuff!